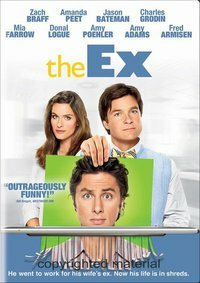 PUREhappiness: movies that rock: the ex. movies that rock: the ex. which is why i was unable to persuade paul to watch it with me. to let my inner zach braff lover out. it is a pretty mediocre comedy. "do what they're supposed to be doing"
or a certain stage in life (ie, starting a family). is feeling external pressure to quit her job and become a full-time mom. to be the breadwinner of the family. regardless of whether that fits with our societal norms or not. i believe it's worth watching for it's lovely message. I'll have to check it out! I'm always up for a good movie!